TWAcomm.com offers a wide variety of business phones for all types of businesses. From a small or home business to larger mid-size and corporate firms, a variety of business phone solutions are available. TWA Communications carries all the major brand names, including AT&T, Panasonic, Avaya, Lucent, Toshibal, TalkSwitch, Comdial, Samsung and more. 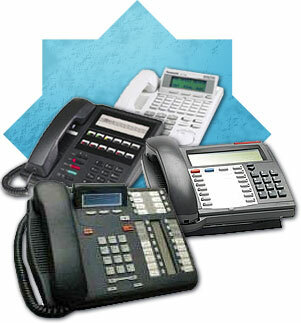 When purchasing a phone system for your business, you will want to consider several factors. While your needs today will be a large factor in selecting business phones, planning for future expansion will save costs down the line and decrease labor costs needed to replace an entire system. Twacomm.com’s Phone System Buyers Guide includes a wizard that will help you select the right business phones for your needs. You’ll need to know how many incoming and outgoing lines you need now and plan to need in future, as well as what features you would like, such as voice mail. Both corded and cordless business phones are available. Twa Communications also offers a System Comparison Matrix which compares five different business phone system models side-by-side to help you select the right phone system for your business. Business phone systems are available with many compelling feature sets, including hold and transfer capability, music on hold, intercom capability, and cordless models. In addition to the business phone systems available, a wide variety of different system enhancements can also be purchased from TWAcomm.com. Replacement handsets for business phones, such as EKT/DKT phones, are available for purchase. In addition, monitoring equipment can be a very important purchase. In a contact center environment, being able to plug in and listen to a call side by side with the caller with a tools like the Page Industries Group Listening Module is critical not only for performance monitoring by managerial staff but also for training of new and existing employees. To record calls for later playback and review, recording devices are available, such as the Page Industries Single Station Digital Recording Interface. One unit is needed for each individual telephone being monitored. This device can connect to any recording device with audio inputs, such as a tape recorder. All business phones also need conference calling capability. TWA Communications carries conference bridge equipment from NEC and DuVoice. In addition, many phone systems include conference calling as a part of the system, including the Lucent Partner ACS and the Vodavi StarPlus DHS. Ordering business phones through TWAcomm.com is easy. From within the System Wizard, simply select the system that you have selected. Enter the number of incoming lines, the number of phones or stations, and the number of analog lines. Select if you would like voice mail or music-on-hold. Then select “configure” to proceed with configuring a business phone system to your specifications. If you have questions at any time during the purchase of your business phones, simply call us at 877-389-0000 and we will be happy to assist you in finding a business phone system that will meet your needs.